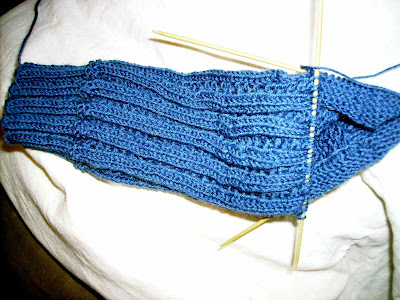 And I nearly finished turning the heel on the first of Stephen's socks by the end. It's coming. Slowly. I'm just exhausted when I get home. 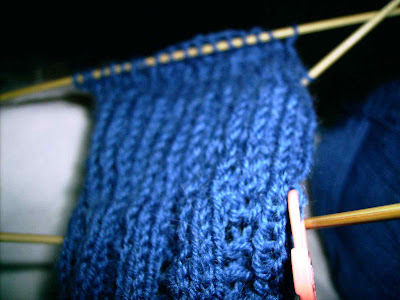 I'm still knitting at night but not as quickly and not as long as I usually do. I have had another request to teach someone how to use dpn's though. That should be fun. There's controversy about Cotillion Club in Anchorage and the way teenagers are behaving at its events, especially how they are dancing. The kids are talking about it and some parents say the event is out of control. Others say it's well supervised and kids just dance differently these days. The Cotillion Club sponsors a series of private, citywide dances for high school juniors and seniors. The next one is Saturday at the Sheraton.